We want to provide you with opportunities to make an impact on global activities. On January 26,2016, #CantDoNothing launched both the start of their organization and Global Refugee Crisis social campaign, designed to help everyday individuals have a real positive impact and assist refugees worldwide. Founded by actress Milana Vayntrub and entrepreneur Eron Zehavi, #CantDoNothing is focused on helping each and every person effect real change. #CantDoNothing is supporting new and thriving organizations like The Syria Fund, Boat Refugee Foundation, and Off Track Health to help everyone spread their voice, time, and money to help thousands of refugees. #CantDoNothing, hosted at www.CantDoNothing.org and on social media outlets at @CDNGeneration, focuses on helping refugees by having its supporters use their voice in posting on social media, their time in volunteering, or their money in donating to select organizations working directly with refugees. The organization concentrates on the real positive impact participants can have in helping refugees immediately. Milana was inspired to start her organization after a trip to Greece where she volunteered her time helping refugees. At first, she didn’t know how to help but she felt she couldn’t “do nothing.” And now, Milana has created the #CantDoNothing campaign to help others take action. To participate, simply film a video or take a photo with your #CantDoNothing sign and post to your social outlets explaining how you are taking action and why you know in your heart you #CantDoNothing. To help the movement grow, tag 3 more people to participate! For more information on both the organization and the social campaign visit Can’t Do Nothing at CantDoNothing.org. 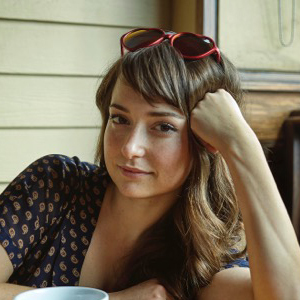 Milana Vayntrub is actress, director and comedian from Uzbekistan, raised in Los Angeles. She recently went on a family vacation to Greece, and stayed to volunteer with the refugees. She created Can’t Do Nothing because she wants to give people a simple and accessible way to learn about issues and make a change for good in the world. 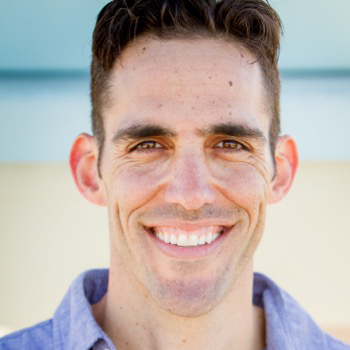 Eron Zehavi is a socially conscious entrepreneur, advisor and investor, working towards a happier, healthier, and more compassionate world. He is the Founder and CEO of Servicate, powering job creation in the Service Economy through On-Demand platforms. Prior to Servicate he was the Co-Founder and Chief Rewards Officer of Swagbucks, the web’s largest and most engaged social rewards and loyalty platform. Eronis also a passionate vegan, sitting on the Advisement Board of the Good Food Institute, KarmaKarma and the Food Revolution Network.